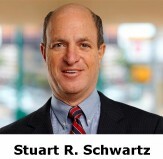 EL PASO, TX – El Paso attorneys Stuart R. Schwartz and Casey Stevenson, shareholders of the ScottHulse law firm, were featured speakers at the State Bar of Texas Collections and Creditors’ Rights Course. The course took place in Dallas on May 14-15. It will be rebroadcasted June 9-10 in Houston. Mr. Schwartz is one of only three Texas attorneys board certified in creditors’ rights law by the American Board of Certification. 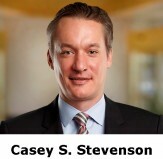 Mr. Stevenson is licensed to practice creditors’ rights law in Texas and New Mexico. He represents both national and international creditors in a variety of collections matters. ScottHulse is a full-service law firm with offices in El Paso, San Antonio, and Las Cruces. ScottHulse attorneys have represented individuals and major participants in the commercial and industrial sectors of the El Paso, Juarez, and Las Cruces Borderplex since 1889. Today, ScottHulse attorneys are involved in client and community initiatives that are transforming the Borderplex into the most dynamic commercial center in the Southwest and the epicenter of U.S./Mexico trade.